05.07.2015: 38 distinguished personalities from 30 countries are honored with the Pride of America for the year 2014. Indian Americans among those honored are Preet Bharara, US attorney, Madhulika Sikka, Vice President and EE of Mic, Rakesh Khurana – the dean of Harvard College and Abrahaham Verghese, the physician and professor and author. 05.07.2015: The national team of Chile won its first major Copa America trophy by defeating Argentina. Argentina football plans are disappointed as the team did not win the trophy since 22 years. The title is a reward for 50,000 Chileans who were in the stadium and to the best generation of players in years. 05.07.2015: National Green Tribunal banned the use of plastic bags in Haridwar and Rishikesh. Whoever violates this order will have to pay a penalty of Rs. 5000 rupees for degradation of environment. National Green Tribunal was established in 2010 and has Justice Swatanter Kumar as the Chairman now. 15.07.2015: BSNL launched a mobile wallet service Speed Pay. This was launched by Union Telecom Minister Ravi Shankar Prasad. 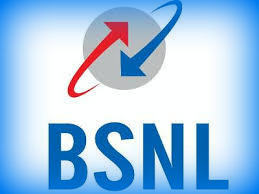 BSNL customers can use this service to transfer money, make payments and also withdraw cash u to 1 lakh rupees. Even if the customers do not have a bank account, they can load money and transfer funds of withdraw money at BSNL outlets or bank branches. 5.07.2015: World health organization declared Liberia as Ebola free country in May 2015 but three new cases of Ebola are reported now. There are fears that the virus is on rise once again in this West African country. 05.07.2015: Indian finance minister Arun Jaitley will participate in the inaugural meet of BRICS Bank in Moscow on Monday. He will also meet the finance ministers of Brazil, Russia, India, China and South Africa, the BRICS nations. This entry was posted in Current Affairs, News on July 6, 2015 by Rakesh.